In difficult times the more entrepreneurial amongst us will look for that niche that will bring success whilst the rest of the world worries about what’s gone by. In uncertain times we can be all be certain of one thing; somewhere someone is whittling away conceptualising a very simple idea that will flourish and come to fruition in 6 months or 6 years. Leaving us all asking ourselves why didn’t I have the basic foresight to see that as an obvious way through. So what opportunities can there be for us motor traders at this time? This industry is evolving and changing fast and it seems the future is no longer solely in the hands of the all powerful corporations that up until about a year ago seemed to hold every card. For these giants, controlling millions of pounds worth of depreciating assets in a flourishing market place is possible and profitable. In an uncertain, flagging market place the job becomes incredibly treacherous. It’s really the same story that happened with our clever banks, everyone fighting for the largest slice of pie with little or no regard for the overall value of said pie. This coming year the new generation of high earning employees in the motor trade at corporate level who have been swallowing up smaller dealers and battling for full control, will really have to work for their inflated wages. There will be casualties and that’s where hopefully some of the hard working independents can take advantage of the chaos. They know the business well and are used to working harder for less return, this will be noticed and appreciated in this particular climate. They will gladly sell a car that cost £45,000 last year to you for £22,000 because they were able to buy it, transport it, clean it and advertise it owing them a shade over £20,000. These cars are becoming available in the trade and if you have the money and the cojones to buy them they are worth the punt. 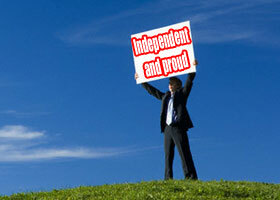 New car buyers are starting to notice the independents and rightly so. It’s a real marketplace and the big groups will not entertain this business, it devalues their new cars and does not pay for the rent and rates of the ‘all round experience’ showrooms of the last decade that litter our retail parks. And indeed many continue denying the ongoing levels of devaluation with well practised spreadsheet forecast panache. Just give me my half priced new car. Take advantage of the chaos – buy a new car now! Never a truer word spoken, only today i watched a “Mercedes Lombard Auction” where a glut of ML 4x4s were making less than silly money, for example: a 2005 05 ML 270 CDi Automatic top of the range “Insignia” with Sat Nav AND Comms pack with just 63,000 miles go under the hammer and Sold for……….wait for it………….. £7,800 !!! not bad for a vehicle that cost in excess of £38,000 just over three years ago.